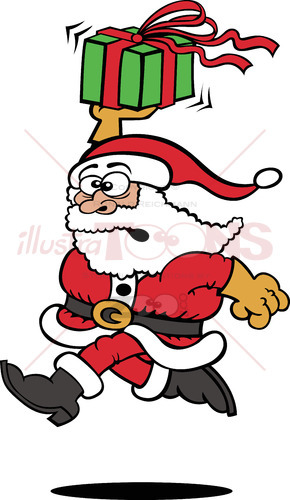 We really hope that it isn’t too late for Santa to be in shape for Christmas! Funny Santa Claus stretching in seated position while wearing Christmas clothes. He looks tired and worried while exercising by making a big effort to stretch and touch the tip of his boots with his fingers. It seems to be a goal out of reach for Santa by now. Download and enjoy this amazing image in just 3 simple steps! The Christmas nutcracker broke its teeth and went nuts!